Great and well decorated townhouse in a village full of character. 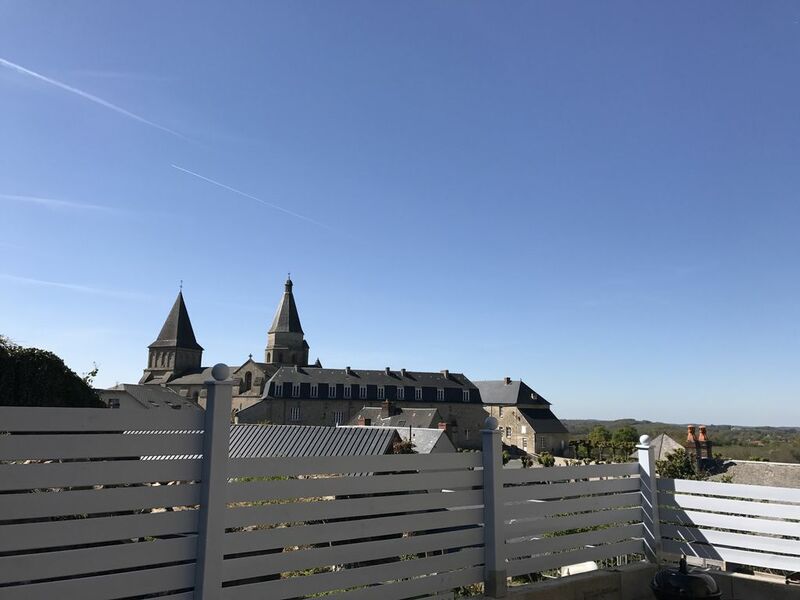 You will enjoy the lovely view on the listed abbaye. The house ground floor has a nice kitchen with build-in oven, induction plate, dishwasher, followed by a dining area and lounge with outside area. First floor is composed of 2 bedrooms, one bathroom. Loft has a big en-suite bedroom. The place is 2 to 5 minutes walk to amenities and the area propose a look of activities for everyone.